U of T Professor Paul Santerre (left) received a 2014 Manning Award for inventing and commercializing new health care technologies. Often singled out for his academic leadership and research, U of T Professor Paul Santerre is being celebrated for a different reason this month. His leadership in moving his biomaterials discovery, Surface Modifying Macromolecules, to the marketplace has garnered him top prize from the 2014 Ernest C. Manning Innovation Awards. The awards recognize Canadian innovators who have successfully created and marketed new concepts, processes or procedures. Santerre, from the Faculty of Dentistry and the Institute of Biomaterials & Biomedical Engineering (IBBME) (which spans the faculties of Applied Science & Engineering, Medicine and Dentistry), has been distinguished by this year’s $100K Principal Award. Santerre’s discovery solves an important dilemma in medical care. When patients are fitted with tubing devices – used for everything from kidney dialysis to blood transfusions – the tubes can cause thrombosis (blood clots) to form. These clots can detach and lead to major complications or mortality. Current treatments involve coating devices with anti-coagulant drugs, such as heparin, that can strip away from the tubing and enter the body. Rather than acting like a coating, Surface Modifying Macromolecules (referred by the trade name Endexo™) are added during manufacturing so that they are embedded throughout the device. The molecules don’t shed, and their success rate at preventing blood clots has been extremely high – reducing incidents of clots by as much as 87 per cent in blood loop tests, a lab test that simulates blood circulation in the body. Santerre, who also won the NSERC Synergy Awards for Innovation for his research leadership in 2012, commercialized the intellectual property into a budding startup company, Interface Biologics, Inc., which then developed the molecular technology into several products. Garnering major investments, and then entering into licensing agreements with a leading U.S.-based biomedical device company, AngioDynamics, the company was able to develop the technology to a point that made it market-ready. In the past two years the technology has jumped several major regulatory hurdles, including two approvals from the U.S. Food and Drug Administration (FDA), as well as similar approvals in Europe and Canada, and has quickly overtaken the market with strong interest. 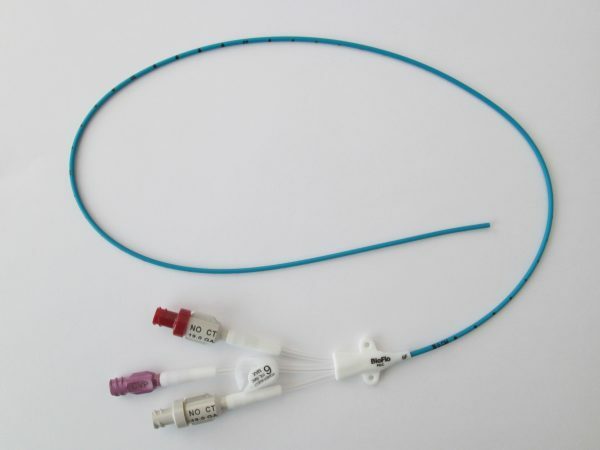 Within its first year of sales, Peripherially Inserted Central Catheters (PICC) containing Endexo landed 45 per cent in the Canadian market alone – and with new licensing partners, is set to steal a major piece of the dialysis market in the U.S., worth an estimated $2 billion. The award recognizes Santerre as one of Canada’s leading inventors who has overcome the challenges associated with pushing his creation into the marketplace, and in turn, is helping to position Canada as a global leader in technology, business, engineering and social innovation. It’s a job, Santerre admits, that’s not always easy. 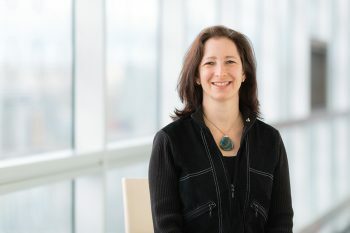 “The Manning award is a recognition that the University of Toronto is driving and enabling the world class research of its academics to be translated into unique and transformative technologies for the health care field,” said Santerre, who urges decision-makers at all levels of government to “capitalize on the potential economic opportunities that exists in Canada,” especially those available through university research networks. 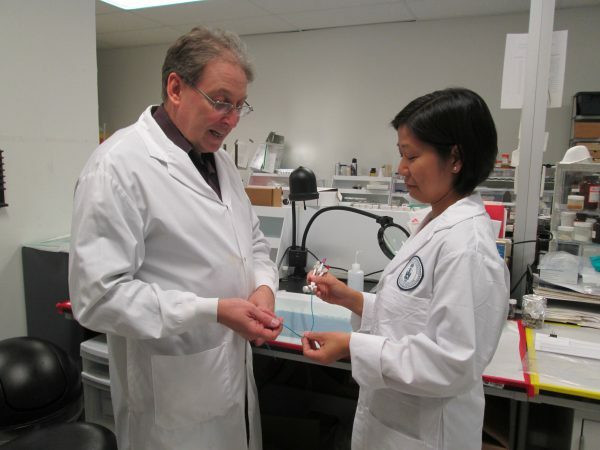 “Paul Santerre is a talented and innovative research leader. The success of Interface Biologics is yet another example of how U of T-born research can lead to new clinical applications and economic success. I congratulate him on earning a Manning Award,” said Catharine Whiteside, Dean of the Faculty of Medicine and Vice Provost, Relations with Health Care Institutions. 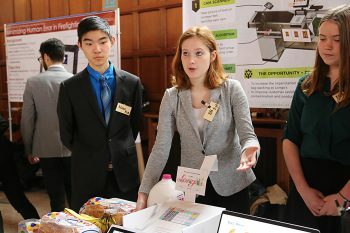 Transforming intellectual property into booming businesses has become something of a trademark for the University of Toronto in recent years. 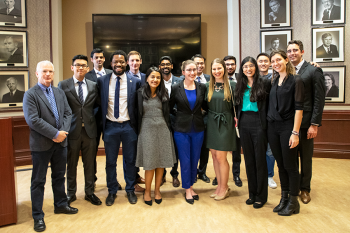 The University consistently tops the rankings of North American schools for startup activity, according to research conducted by the Association of University Technology Managers (AUTM). Read the full story on this year’s Manning Innovation Awards in Maclean’s magazine.